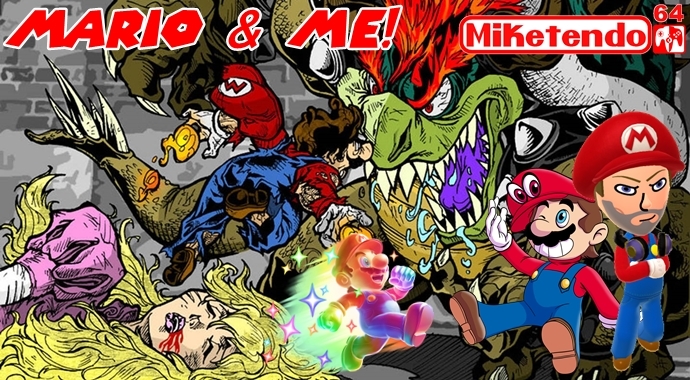 In continuation with #MarioWeek at Miketendo64, it’s time to hit you with another Mario & Me and while the majority of the instalments will mostly revolve around those of us who contribute to Miketendo64, as we talk about what Mario means to us, we won’t be the only contributors. Q2. First Mario game you played? Super Mario 64. Q3. Last Mario game you played? Super Mario Odyssey… at Gamescom a few months back. Q5. Least favourite Power-up? Don’t think I have one, but the Fire Flower would be dangerous in real life! Q6. Favourite Boss Battle? Any boss fight from Super Mario Galaxy 2. Q9. Princess Peach or Princess Daisy? We haven’t had that many chances to get to know Daisy, so I’d say Peach. Q10. Metal Mario or Rabbid Mario? Rabbid Mario is my new favorite animal. Q11. Frog Suit or Racoon Suit? Frogs are cooler! Q12. Goombas or Koopa Troopers? Goombas, you just have to feel sorry for them! Q13. Super Mario Odyssey, physical or digital purchase? I buy all my games digital, so I’ll patiently be waiting for Nintendo eShop to update! Q14. Playing Mario alone, or with a friend? Both! Q15. Super Mario 64 and Super Mario Sunshine, or Super Mario Galaxy 1 and 2? Galaxy 2 is my favorite game. Period. It’s all about fun, joy and friendship! No other games captures pure joy like Mario. When I orbited a small planet in Galaxy 1 for the first time. Possess a human and lead a simple life in New Donk City. Just like yesterday, this is just the first instalment we have lined up for today, as we will be posting another one straight after! So no need to wait, because even more is on its way!